HomeGoods is a home furnishing chain operated by TJX Companies Inc. that brings shoppers spectacular findings. 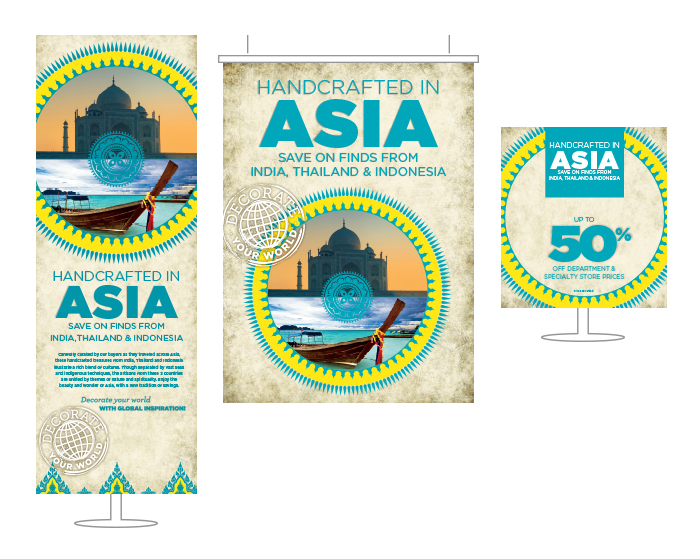 My role was to design the in-store signage for "The Best of Asia Campaign" that showcased the handcrafted treasures from India, Indonesia, and Thailand. 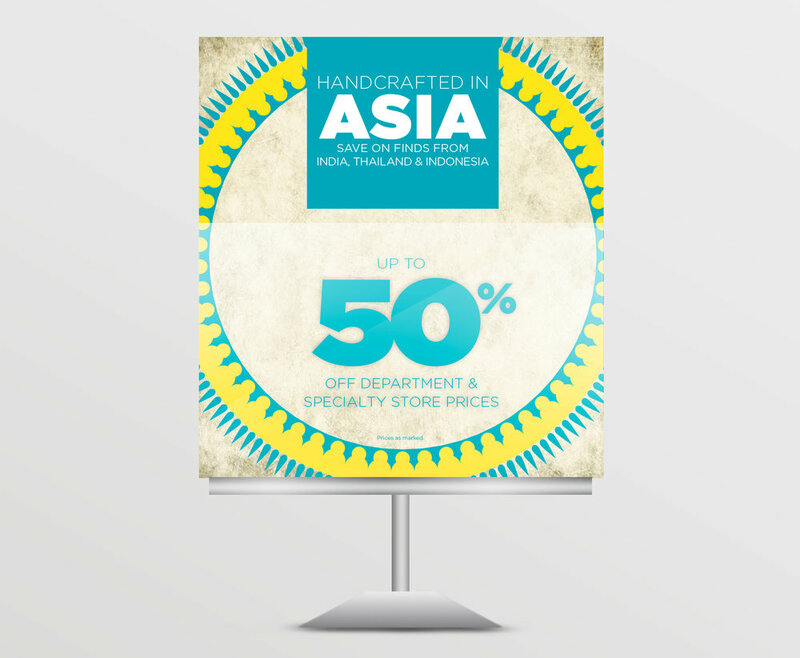 This is the first time HomeGoods has ever presented three countries of Asia in one event. With a touch of "HomeGoods Happy" and cultural imagery it brings a refreshing touch of Asian decor to shoppers to help accent their homes this spring.